Fear that you will have to survive an endless period of misery, deprivation, and unsatisfied craving in order to be free. Fear that a meal or a social occasion will never be quite as enjoyable without a cigarette. Fear that you’ll never be able to concentrate, handle stress or be as confident without your crutch. Fear that your personality and character will change. But most of all, the fear of “once a smoker, always a smoker’ – fear that you aren't in control, that you will never be free and will spend the rest of your life craving a cigarette. ​According to an article in the New Scientist, “Hypnotherapy is the most effective way of giving up smoking, according to the largest ever scientific comparison on ways of breaking the habit.” The article reported on research done by scientists at Iowa University who studied the results of 600 studies of a total of nearly 72,000 people in Europe and the USA who had successfully quit smoking. ​A University of Indian study found that after 6 months 86% of men and 87% of women remained tobacco free after using hypnotherapy to quit. When you consider that guided imagery has enjoyed a high success rate (up to 90% in some studies) for smoking cessation, it is little wonder that hypnosis is becoming a standard smoking cessation tool, used both exclusively and to compliment other approaches. When we combine that with mindful coaching the success rate goes up even more. Using a Mindful Based Coaching and Hypnotherapy Program you have the most comprehensive tools for smoking cessation at your fingertips. Combining Hypnotherapy with Guided Meditation Recordings and personal Coaching, we can work to eliminate the cravings and withdrawals that come with removing the chemicals from your system and the habits of putting a cigarette in your mouth. We find solutions that make sure you don't replace one habit with another and give you the confidence to know YOU ARE ALWAYS IN CONTROL!!! 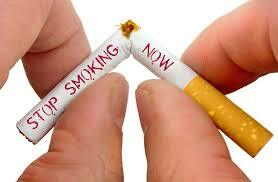 For one, hypnotherapy and meditation address the emotional and psychological aspects of smoking and quitting. This is striking because common smoking cessation methods (such an anti-smoking pills and nicotine replacement therapy) treat smoking as a physical addiction alone. Guided Meditation, however, targets the subconscious mental and emotional associations in the subconscious mind which underlie the smoking habit. Meditation weakens physical cravings by inducing relaxation and reducing stress. It taps into the mind’s power to cope with withdrawal symptoms. Compared to drug interventions, hypnotherapy and meditation yield no side effects and withdrawal symptoms are rarely reported with this method. It is a drug-free, all-natural therapy that taps into a person’s subconscious, helping you harness the mind’s healing power and your inherent ability to change your life. When you’re in a hypnotic state your subconscious mind is open to suggestions. This makes it easier to convince your subconscious that smoking is harmful, that it’s time to let it go, and that you can finally kick the habit. When you are able to focus and meditate you can tap into the suggestions given in your hypnosis session and bring them to work anytime you feel a need to smoke. It's all about reprogramming and re-balancing. Addictions are caused by an imbalance in the body, mind, and spirit. We work together to pinpoint that imbalance and put it to work for your health. While everyone is different and success rates vary, most people can reach their goal in 4 or 5 sessions. Sometimes you even quit the first time! But, follow ups are highly recommended to ensure against relapse. Of course, like everything there is no guarantee, but what do you have to lose?